Today in this article we are going to talk about best WordPress plugins for the year 2019. If you are using WordPress as your website builder, this article on WordPress Plugins will be of great use. But, if you are using other website builders to create a website then you must read the WordPress Review and decide which website builder is suitable for you. I am not biased on the part of using WordPress, but I am using WordPress for long. WordPress provides you with numerous free plugins and I personally feel the software to be ahead of other website builders like Wix, Bloggers etc. You might have heard of the adage “there ain’t no such thing as a free lunch”. But, if we talk about WordPress, then we can say in the world of WordPress, there actually is! I must convey this to you that without seeking too hard, it is easy to get heaps of awesome free plugins on WordPress. These free plugins will make your life and your website functional addicted. This is all even without you spending a dime. Here in this article on WordPress Plugins, we are going to jot down all the plugins which are free for the users on WordPress. But, hold on for a while! It is better to move slowly rather run and fall down. We didn’t discuss, what basically Plugins are? So, let’s take a ride to it first. Just understand- Plugins work just like apps on your mobile phones. They make your website easy to use either for yourself or for your audience. Technically, plugins are software which contains a group of functions that you will be able to add to your WordPress website. 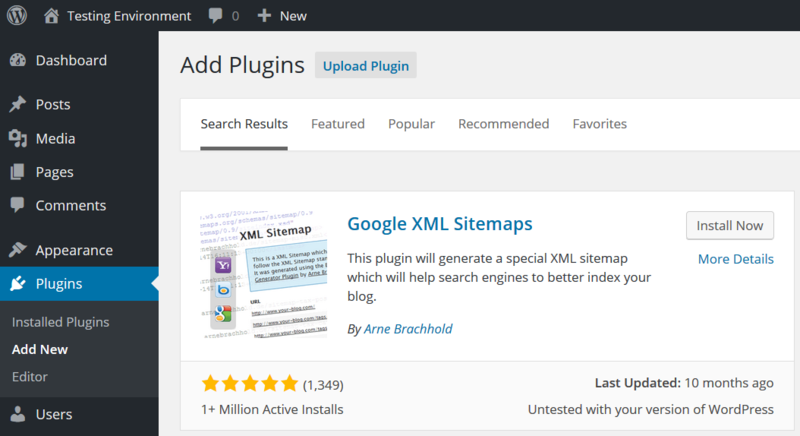 These plugins add new features and functionality to your website. There are almost 60000 WordPress plugins and counting at the official WordPress Plugin directory. This means that for almost every function or feature there is a plugin for your website. Though the niche of your website will decide which plugins you should be having on your website, yet some plugins should always be there on every WordPress website. WordPress plugins are basically written in the PHP programming language and they are integrated with WordPress. In the world of WordPress, there is a saying which usually goes around- “there is a plugin for that”. There is a myth that the WordPress plugins usually slows down your website, but unlike your apps, this is not true. For every feature there are numerous plugins available, you have to choose the best and the right one for yourself. That means the bad ones will slow down your website for sure. Refer to the article on how many plugins you should install? If you are having the right set of tools and plugins it can definitely help you grow your online business. 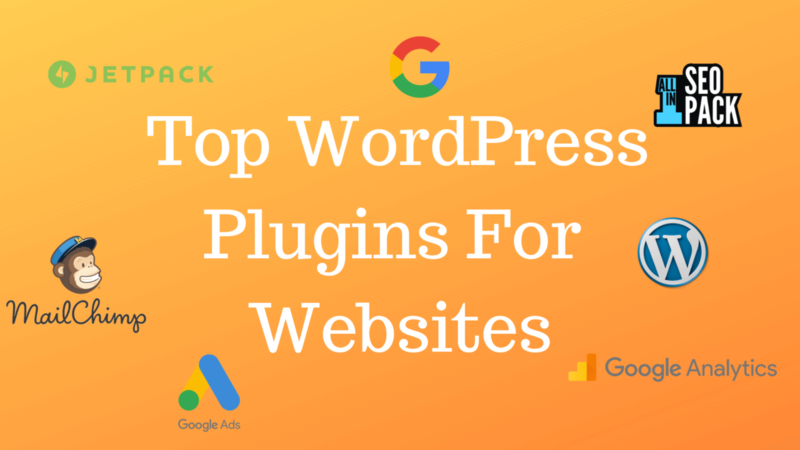 In this article, we are going to share the must-have WordPress plugins for your websites in the year 2019. Here we have collected the best free WordPress plugins of all times, completely based on the review of the users as well as on the basis of the personal experience. So, let’s talk about these plugins in detail. We all know the importance of SEO, from the very beginning. If you are able to do Off-page and On-page SEO properly and correctly, then it will help you drive traffic towards your website. SEO also helps you to approve your website with Google AdSense. But how you can do SEO with WordPress? So, we have a plugin for that as well. Yeah! Yoast SEO is one of the best WordPress Plugins, because of its SEO. It also helps in generating XML Sitemaps, and also adds SEO title. This WordPress plugin also controls the website’s breadcrumbs. This free plugin focuses on creating great content which is technically SEO friendly as well as useful to users. Let’s see how it helps you to gain trust and maintain the rankings. First and foremost, it allows you to choose the focus Keyword. Focus keyword should be carefully chosen in the article you are writing. Page Analysis feature of Yoast SEO checks whether the focus keyword is used everywhere on the meta descriptions, headings, image alt text and the whole post as well. This free plugin also helps you by giving worthy suggestions to properly put the images as well as the text for better visibility and usability for the search engines. In addition to this, the Snippet Preview, helps you to improve the way your post or page will look on the search engines. It helps you creating better headlines and compelling meta descriptions for your posts which can increase your click-through rate. The Readability feature is new. You must understand if the feature shows a green light, then your content is understandable and simply created. 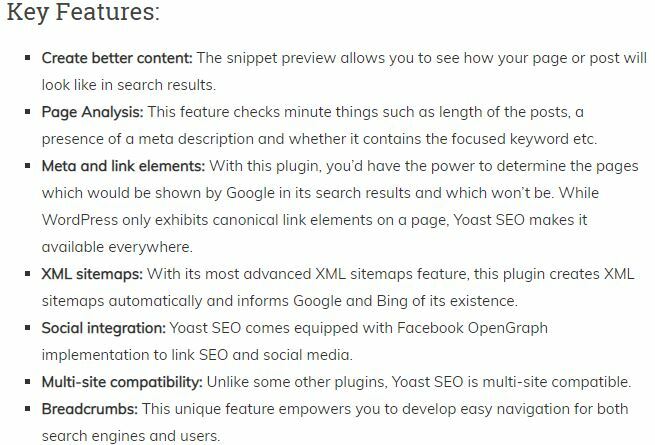 Just like Yoast SEO, there is another plugin which works the similar way- All In One SEO Pack. Let’s have a look at the Pros and Cons of Yoast SEO. With the help of this plugin, it becomes simple, fast and easy to work. It contains numerous features in one pack. First, the con is that this plugin contains a significant number of security threats. And, although all the features are activated at one time, there is a possibility of the reduction in the speed of your website. We all know that social media has become a medium for sharing things, business etc with the entire world in one go. This platform has taken a soar in recent years. So, we have noticed that social media marketing has become a crucial part of digital marketing these days. So, guys in order to boost your SMM i.e., social media marketing, it has become necessarily important to use social media plugin just like-Social Icons. This free WordPress plugin provides you with a way, in order to display social icons of facebook, twitter, LinkedIn etc on your website. Apart from this, you can also add social media icons to your posts or the pages as well, using widgets or shortcodes. It is very simple and easy to use. You can install the plugin instantly and add social media icons as well. As you can see in the picture above, this free plugin allows you to customize your icons. You can do resizing of your icons. You can change the background icon layouts to square, rounded, or grayscale. It helps you to make your task much easier by giving you an option of drag and drop icon sorting. Akismet Anti-Spam is a free WordPress plugin by Automattic. This free plugin is usually considered to be the best way to protect your website or blog from spam. This is also one of the default plugins that come with every new core installation on WordPress. It helps in filtering out all the spammy comments and checks all the comments thoroughly. You just need to install the plugin and sign up with Akismet, in order to choose a plan. After you are done with choosing a plan, you will receive an API key, which will, in turn, help you to activate the plugin. This free plugin provides you with the status history of the comments so that you get knowledge about the spammy comments by Akismet or we can say the moderators. For the personal website or blog, the plugin is free, but in the case of commercial websites, you have to subscribe to the monthly plans. Well, the latter provides more advanced security solution than the former one. Google analytics is a free tool of WordPress that allows you to use statistical data in order to understand your website traffic. You can better understand your audience by monitoring real-time stats about your website and helps catering to them so that you will be able to improve your user traffic. So, this is better to pick Google Analytics WordPress plugin for your website and you can choose any of the best plugins like MonsterInsights Google Analytics Tools, Jeff Starr or may be by ExactMetrics or Share This etc. 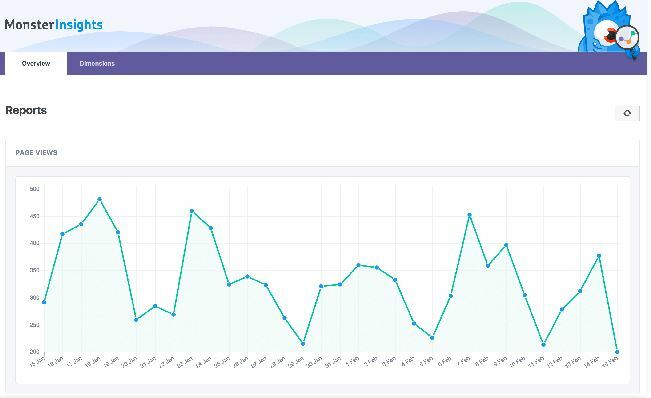 This free plugin is commerce-ready, where you can track the popularity of your product, conversion rates and value of your orders without wasting time. As Google Analytics is integrated with Google AdSense, so it becomes easy to keep a record of your ad performance. User discovery reports etc are some of the additional features of Google Analytics WordPress Plugin. You might have seen something like this while doing on-page SEO. While you might have seen some extract information below some of the pages just like images, star-ratings, number of reviews etc. These extract information like star-ratings etc are called Rich Snippets. The Rich Snippets highlight the attractions of the product that means it provides the main information about the product or page or blog. This is the reason Rich Snippets help you get more click-through rates through the search engines. This free plugin is very easy to install. All you need is to use one handy plugin All In One Schema.org Rich Snippets. 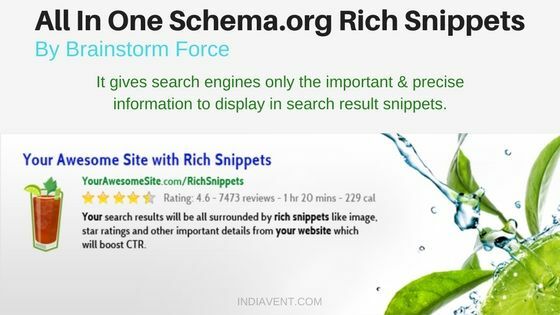 Rich Snippets will help with providing some useful information to the search engines so that this can be displayed on the search engine result pages (SERP). This, in turn, will help your website get more and more click-through rates as well as help your website to rank better. 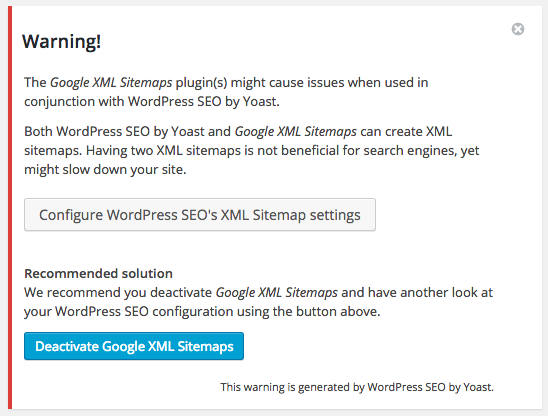 Here we are coming with another important and very useful WordPress plugin and that is Google XML sitemaps. This free WordPress plugin helps the search engines like Google, Bing, Yahoo etc to index your website in a better way with the help of a special XML sitemap. A sitemap basically allows the search engine bots to view the structure of your website completely and then retrieve the results more efficiently and effectively. As soon as you activate the plugin, it automatically will create and XML sitemap in order to make the website easy to index. This free plugin notifies the search engines like Google, Bing, Yahoo etc all the time whatever you publish anything on your website. This improves the SEO using XML sitemaps for better indexation. Jetpack is another important and powerful WordPress plugin by Automattic. You must have this free WordPress plugin for every WordPress website. Jetpack, as the name itself, suggests that it is a pack full of awesome features to fly high and make it a success. This plugin is among the best WordPress plugins of 2019 list. Tracking the website’s traffic is an important thing. This free plugin not only shows the site stats and day to day traffic but also do a lot more things. Jetpack helps in increasing the performance of your website and also protects it against brute-force attacks. This plugin also provides you with some good and amazing WordPress themes. This WordPress plugin is available in both ways free as well as paid. 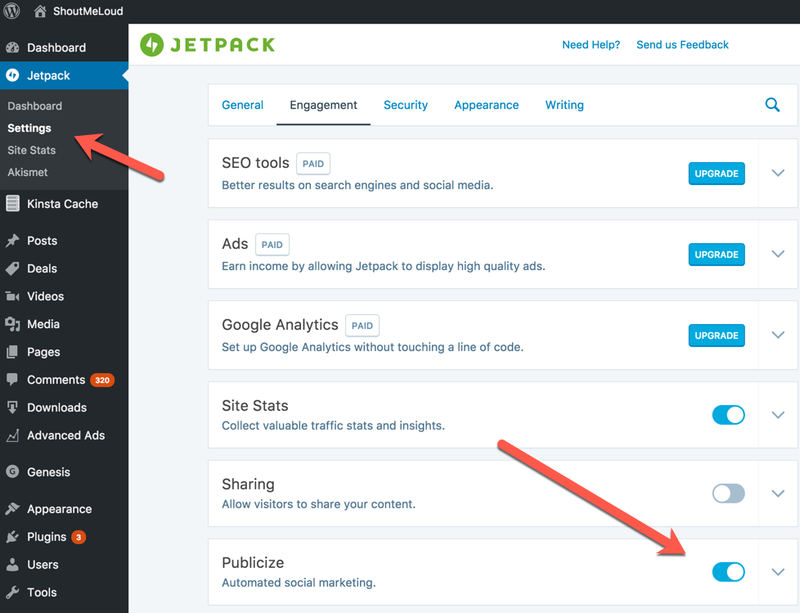 Jetpack is fully loaded with enhanced distribution which shares your published content automatically on the search engines like Google, Bing etc. and also helps in increasing your traffic. It also creates sitemaps so that the search engines like Google, Bing etc will be able to index your website easily. Smush is another great free WordPress plugin provided by WPMU DEV that can improve the performance of your website. We all know that images are a great asset for your post which attracts user towards your website. Images many times work better than what the text cannot do. Sometimes they speak louder than the words. Images help in making the page or post attractive, catchy and compelling. On one side, where images help the website look more attractive and appealing to the users, on the other side it takes up a lot of storage space which slows down the site speed. Well, this is true that ignoring the slow speed of the website as well waiting for the disaster to happen, is simply not possible. But, mind my words, it’s not a time to worry, rather look for the solution. So, Smush is the solution for this, by compressing the images! Yes, you can optimize and compress the images, even without reducing the quality of the images. 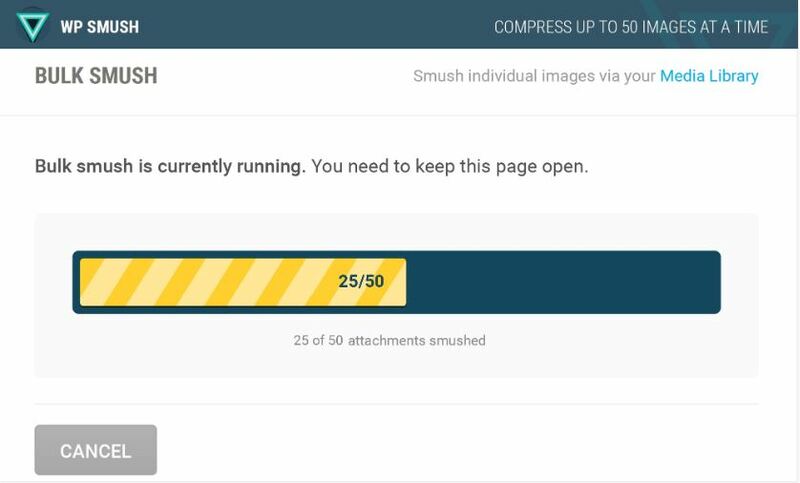 By using WP Smush you can reduce the size of the image files in JPEG, GIF, PNG formats by using the advanced compression techniques. This saves a lot of time and storage space. This free plugin is very useful because it helps your post or page to look compelling as well as it will be fast. If you are looking for a plugin with the help of which you will be able to generate an email list, then your search ends here- MailChimp. MailChimp is a very popular email marketing services that are used to send emails, manage subscribers and track results in bulk. Without any doubt, it is a great marketing tool for the business owners as well as for the webmasters. It is very easy to integrate MailChimp for the WordPress website. You just need to install MailChimp For WordPress plugin. Well, though it is a free plugin that allows you to add amazing opt-in subscription forms, yet if you want to choose the plugin for commercial purposes then you can also try the premium version as well. 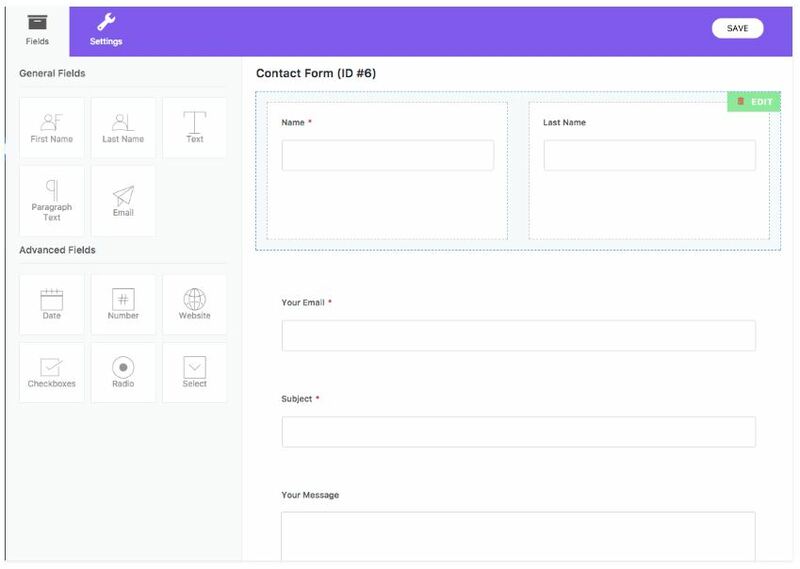 Apart from this, you can also easily integrate this free plugin with the other forms on your website such as comment, contact form or with the check out form etc. Other form plugins such as WooCommerce or Contact Form 7, you can easily integrate MailChimp plugin with them. So, what are you waiting to install the plugin and start your email marketing campaign instantly? Whether you own a small website or a big website, no matter how it looks like, you definitely need a ‘Contact’ page, from where your audience can contact you. All these need a well-designed contact page. Besides this, the free plugin also allows you to create Two-column WordPress contact form and advanced forms as well. Apart from this, you can also use advanced fields like date, radio buttons, checkboxes, drop down list etc. This free plugin comes with a complete set of features which enables you to build full-fledged forms. This plugin conveys editable form validation message also. If you are determined to create an eCommerce website, then WooCommerce is one of the best WordPress plugins. It enables you to sell anything on your website. See, if you owning a website then this is quite certain that later or sooner you are going to sell something or the other. The features of the plugin will help you grow your website with the help of a store which is running online. You can provide various options to your customers through an online store, it also provides you with extendable shipping options with WooCommerce. Just like any other online store, it provides you with flat rates, local pick-ups, free shipping etc. All the features that you are comfortable with other online stores, WooCommerce WordPress plugin will provide you convenience. WP-Optimize is #1 most installed optimization WordPress. It is a great tool which is used automatically for cleaning up your database safely and conveniently, even without manual queries. This free plugin always keeps your database optimized, so that it can perform well. As we know there might be many useless data which is collected in your website. This unnecessary data slows down your website speed while you being unaware of the fact. By installing this free plugin, so much of your work will automatically be done. It removes all the spammy, unwanted material collected in your website. So, don’t worry, it will keep your database always optimized. 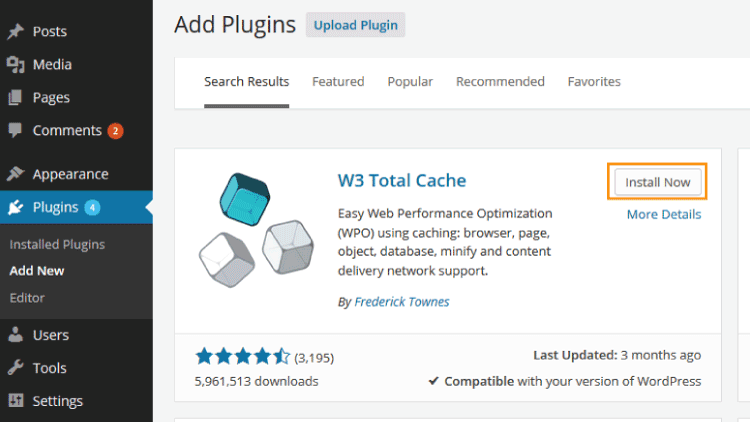 W3 Total Cache is the highest rated and most complete WordPress performance plugin. The basic idea of caching is to store the website data temporarily so that it may load faster the next time whenever the user opens the same page. W3 Total cache dramatically improves the speed as well as the experience of the user of your website. Minify and content delivery network caching to WordPress. It also helps you to integrate CDN services in order to reduce the load time of the page. W3 Total Cache plugin also has options to minify and HTTP compression of the HTML, CSS files, JS and HTML. This will help you to save the bandwidth up to 80%. While the page load time will be better, you will also get a better ranking on the search engines. This means higher traffic and on the contrary higher conversion rates. WordPress plugins are note ended here. In this article, we have talked about 13 top WordPress plugins that you must opt-in while creating a website in 2019. As stated earlier in the article these WordPress plugins provide you with the basic features, optimize speed, improves security, and improves the SEO of your website and last but not the least help you in the marketing of your content and products in a genuine way. There are other more plugins which are good and useful but it all depends on the requirement of your website. As your website will grow, you can install more plugins. We have told you earlier also there are around 60000 WordPress plugins, and for every requirement, there is a plugin. So don’t worry and start your website today. All the best for the future endeavours! Please feel free to contact us at digitaldhairya@gmail.com or fill the FORM here, so that we are able to reply you as soon as possible.